This is my entry for the monthly Weekend Breakfast Blogging, an event show-casing my favorite meal of the day! WBB is the brainchild of Nandita from Saffron Trail. This month, WBB is being hosted by Trupti of The Spice Who Loved Me. True to the name of Trupti's blog and her obvious love for traditional Indian spices, the theme for the month is: SPICE IT UP! Breakfast is a meal marked by polarizing differences between people: some love breakfast and would not dream of skipping it, others cringe at the thought of eating anything at all between noon. Some are content to eat a bowl of cereal every day for the rest of their lives, others want a sugary fix of doughnuts and cream-filled pastries, yet others want the traditional breakfast spread of eggs, toast and meat, and a small number like me crave spicy savory food first thing in the morning! 1. Breads in the form of parathas, that either have vegetables mixed in the dough, or stuffed inside. Potato parathas and spinach parathas are the ones I make most often. 2. Indian-style eggs: Indian savory french toast, or spicy scrambled eggs. 3. 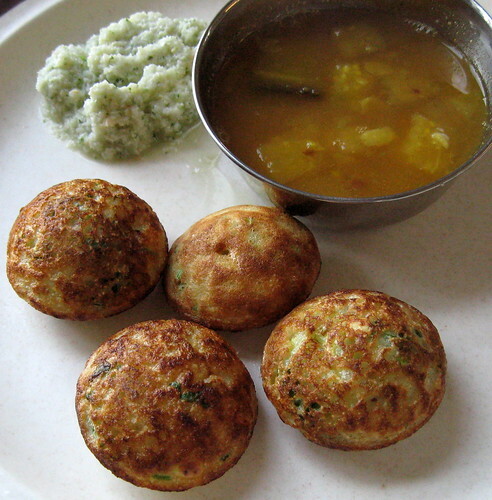 A whole family of brunch dishes are based on a fermented batter of rice and urad dal, including steamed cakes called idlis, paper-thin crepes called dosas and thick pancakes called uttapam. 4. An Indian pantry staple: coarsely ground whole wheat- semolina or rava or sooji provides an opportunity to make "instant" versions of many of these dishes that traditionally call for fermented batter. Equipment update: Thanks to Priya's comment, I now know that a very similar pan called the Aebleskiver pan is used for making Danish pancakes and is sold in US stores. It seems that these pans work well on a gas stove as well as an electric stove. Read more about the pans in this post from Live2Cook. The "spices" in this spicy recipe are all fresh flavorings. No "real" spices like cumin and garam masala are used here at all, instead, all the savory taste comes from the bright notes of onion, ginger, fresh chilies and cilantro. The addition of some chana dal provides interesting taste and texture, and a dash of color to the appam. The batter gets better if it is allowed to rest a little, so one could do the soaking right at the time of brewing the first cup of tea or coffee, and then rest assured that a wonderful breakfast is awaiting them in a little while. 1. Soak the chana dal in a small bowl of water for 30-60 minutes. 2. In a large bowl, mix the rava and yogurt, along with enough water to make a thick batter, and cover and leave aside for 30-60 minutes. 3. Make the batter: Add soaked chana dal to yogurt-rava mixture, then add all the flavoring ingredients and salt to taste, and add enough water to make a batter that is a little thicker than pancake batter. 4. Spray the appey molds with non-stick spray, then heat them on the stove. 7. Once both sides are cooked and crispy, remove the appey from the molds. 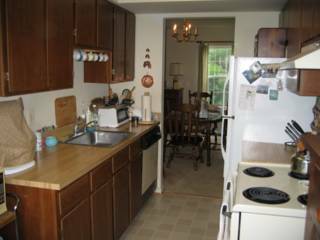 Make more appey using the same method- adding baking soda at the last minute before cooking. 8. We served the appey with fresh coconut chutney and eggplant sambar for a delicious savory breakfast. Verdict: This recipe is a keeper! I will be making this often. It is especially nice to serve to guests...the appey are fun to eat, and look pretty, and can be made in large batches, making them a convenient brunch dish. I will also try making the traditional appam with fermented batter, now that I have the molds. If you want really crispy results, put some extra oil in the molds...but for me, the spray gave great results, with the minimum of added fat. For a wonderful collection of spicy brunch recipes, check out Trupti's round-up: Part I and Part II. they r oh sooo yummy.. ur pics truly make justice to this lovely dish! I too make this, with fermented batter for savoury,sweet using rawa.In our side or chettinad side its so popular as "KULI PANIYARAM".In tamil, kuli means shallow the vessel is used especially for that receipe and for appam as you said. Let me share with you my breakfast quirks. :) I have never been a breakfast person. It is only recently that I have been forcing myself to have breakfast (in the form of cereal). Wow! The Golden Brown Appey looks yummy and is definitely a scene stealer. Tamilians make the 'suyyam' ( a form of swtt appam but deep fried- our versions of mini donuts ) but Jhatphat Appey seems to be nutritious as well as lower in calories. What a nurturing mom you have , so loving and caring and so supportive of your one Hot stove blog! 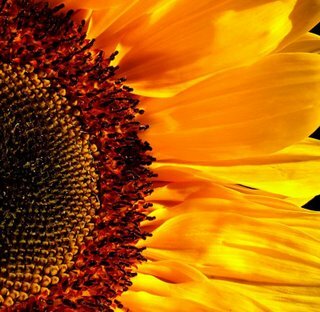 After reading your blog, i am reminded of the following Wise saying :"There are only two lasting bequests we Mothers can give to our children. one of these is Roots , the other wings ." Nupur , all these rich heritage is reflected in your blog! Keep up the great work! i hope you have something exciting lined up once A to Z is over ! btw will that skillet work on a electric stove? Arts, if you manage to find the molds, they are really easy to make! G V, I heard about the sweet ones! They sound delicious, but I don't have much of a sweet tooth :) Thanks for sharing their other name! Bhags, I bet your grandmother's version is delicious, and that she uses the "real" cast iron molds for these. Richa, I'll have to try the sweet version next time! Coffee, I'm going to try with fermented batter too, but the rava version needs no prep, so it is convenient at times. Sandeepa, My mother bought them in India. She says they are widely available in Maharashtra at least. It is Nirlep brand. Viji, glad you like them! Supriya, good question! I don't think it will. You might need to make some creative adaptations to use these molds on an electric stove. Your pictures look so delicious! I have never tried these before, but will be sure to pick up a set of molds on my next trip. Thanks for the detailed instructions. Hey i have a question, is this mould put directly on gas? I mean its not steaming like idlis right? Jhatpat Appey!! WOW!! I love these .. I have blogged about the fermented batter type! we call it 'gulpangdi' , though it is sweet! and my best friend, who coould not pronounce that calls it 'woh tortoise shell wala, idli ke atey wala snack'!!! Those look absolutely delicious. I'll be lookng for those pans, for sure. What a great way to change up the typical American brunch menu! We are GSB konkanis and my mom made this very often! I loved your recipe for 'jhatpat appey'! I always make them the traditional way and it always has to be planned a day or two in advance. This is a great recipe for those times when you just want to eat them instantly! Btw, I have a mould for appe which my mom sent me from India. it is a nonstick one and it works fine on an electric(coil) stove. Hey... I am desperate to buy appe pan as many dishes can be made with almost no oil in it.. But I have an electric stove.. Came across your positive comment of using them on electric stove.. Can you please let me know the brand you use ?? Thanks so much for sharing the quick version of appe. I have this pan, but seldom use it. Now with your recipe I am sure I'll use it more often. BTW, I love ur pav bhaji recipe, now I just make pav bhaji without onions. btw, which rawa should be used ? the fine or coarse one? Gorgeous! Haven't had appe in a long time. Another addition to the list that my kids and I will request my Aai to make when we visit Pune next month. thanks for the reminder! Usha, I will try the urad dal version soon! Aarti, yes, it *is* put directly on the flame but see the comment from Tee below...she has used it on electric stoves successfully! YAY! Also, you might be able to find that Danish cake pan in Europe. Manasi, tortoise shell :) LOL that is cute, and so true! It does look exactly like that! Lydia, you would love these! Like Priya commented, you might be able to find the pans in some kitchen supply stores. Tee, oh really?? The nonstick one works on electric stove? That is good to know...I was pretty unsure of that. Thanks for letting me know...couple of people wanted to know this. The rava is simply labelled "sooji (upma rava)", it feels pretty fine to me. But I'm not sure. I have a feeling this recipe would work with any rava, it is rather forgiving. Isha, let me know if you get a chance to try this recipe :) and I'm so glad that you enjoyed the pav bhaji! I appreciate your feedback! 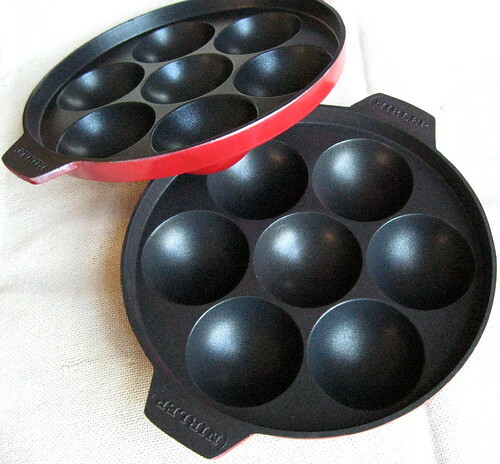 Look for Aebelskiver pans in US. It is the same as our Appe or Appam molds. We have a cast iron pan in Lodge logic brand. I am really sorry about this misinformation. What a nice entry! 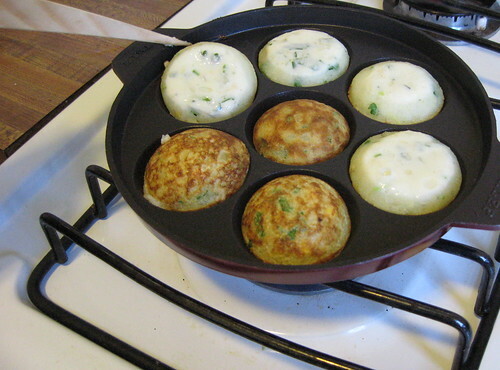 I just got one of these pans recently and I am waiting to try it out....I will use your recipe, Nupur.. 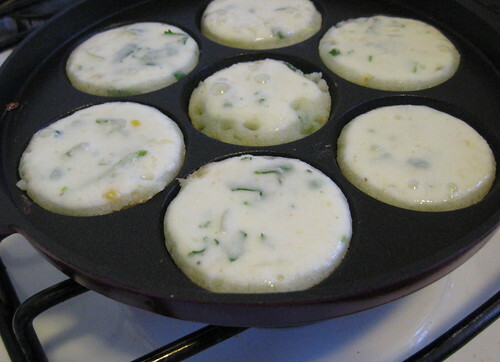 I think the non stick appam molds from India should work fine in electric ranges. These molds are "Hard Anodized". I used once in my friend's home and didn't feel any difference. We call this Kuzhi Paniyaram. You can even do this with left-over idli batter..
Nupur - those sound delicious! I've been shopping around since reading your post and like some of your other readers came to the conclusion that the Danish pan was probably the way to go (I couldn't find an on-line US source for the appam pan). I can't wait to try your recipe! Thanks SO much for this recipe. I've had the kuli panyaaram/appey mold for a few months now and have never had enough leftover idli/dosa batter to try them. Thanks to you, I'm going to inaugurate the pan this weekend. Your summer rolls and the dip in the previous post look super yummy. A quick dip recipe: equal parts of rice wine vinegar + soy sauce, and some water + sugar/brown sugar to taste + crushed peanuts (excuse the vague measures) - goes well with veg rolls. got to get this non stick one !! 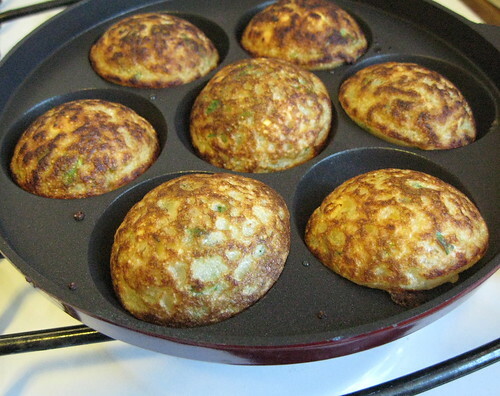 live2cook, yes, it looks like Aebelskiver pans are the way to go, in the US. Tee, don't worry about it! If the cast iron pan works on the electric stove, then there is no real reason why the non-stick one should not. 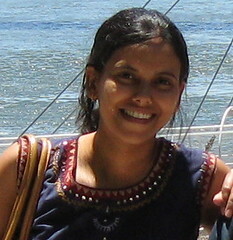 Trupti, thanks so much for hosting! Suganya, yeah, that should taste delicious too! Made these today for our lunch boxes! just that @ 6 am was in no mood to add onion , ginger... so that calls for another round!! thanx, loved this recipe!!! Hats off to ur Aai for this!!! I m Devi Balaji. A lovely dish...we do this with the left over dosa/idli batter with doing mustard-urad dal seasoning, onion, curry leaves, g.chillies. This is one way to empty the batter which is 3 r 4 days old. This wil taste great if the batter is bit sour. Great snack during weekend. Manasi, glad you liked it! I'll tell Aai that you tried it :) Did it taste good cold in the lunch box though? One possible trick: making a ginger/chili/coriander/onion mixture the night before and saving it in the fridge. Devi, Thanks so much for your comment! Will definitely try your suggestion next time I make these! tried out your recipe yesterday...Loved it!!! This sure is a keeper...thanks for sharing! Made these for breakfast..abSolutely yum! I must say you are so very organized and detail oriented. I come from a GSB family and have been eating appey since childhood. But the elaborate descritpion with pictures here is just too good. Anyone new to appey can make them without a mistake. And yes thanks for the jhatpat version, I will try it this weekend. I came across this recipe on your blog a year ago, and bookmarked it. I tried it out one lazy Saturday afternoon and loved the results. Since then, have made many a time, each time, adding some new ingredient, or tweaking it a little and it has never failed me. It's a huge hit in my family, and I don't know of a single person who hasn't complimented me for it. Thanks. When are you getting back to regular blogging? Nice recipe. I am from Kolhapur too and my mom used to make this. Just a little veriation- she used to add 1 tbsp of rice flour and 1 tbsp of besan to this mixture and appey comes out very good. I tried this appe yest for dinner. I added 2-3 tspn of rice flour to it. They came out very very well! We enjoyed this with sambhar and coconut chutney. Had a very satisfying dinner! Hubby loved those cute beauties. I prepared these today morning again for his lunchbox. Boy, he was so happy! hi, thanks for this sharing, specially the part in which you have written about how to use the appam patra. I tried appams first time at one of my friend's place. Some how i have managed the patra but was not sure to cook in patra. As usual i started searching and found your write up in the blog. really, very very thanks to u.
I have been following your blog for some time now and your recipes have always come out well! This recipe of yours has been an instant hit, and someone wanted me to patent this recipe! I have been making pakodis with this pan, and it works out well, esp since I don't want to deep fry the pakodis. Thanks for the recipes. I made these for breakfast today. I had earlier tasted them at a neighbour's place. She used Eno salt instead of baking soda. So I tried Appey with both Baking Soda and Eno salt in different batches. As the quantity of baking soda is not mentioned in your recipe, so, I think I had put in a little extra because of which it left an aftertaste. The Eno ones came out perfect. Thanks for sharing the recipe. Thanks for your feedback. I'm sorry I forgot to mention the amount of baking soda. I've updated the recipe to say that only a pinch or two is needed. Also, I know based on your post on idlis that idlis freeze beautifully. Do you think appey will freeze well too? Surabhi- I'm sorry but I don't know of any substitutes. I'm guessing your husband is allergic to dairy in general? You might ask vegan cooks if they have any ideas, maybe soy yogurt would work but I've never tried it. Also I've never tried to freeze these.